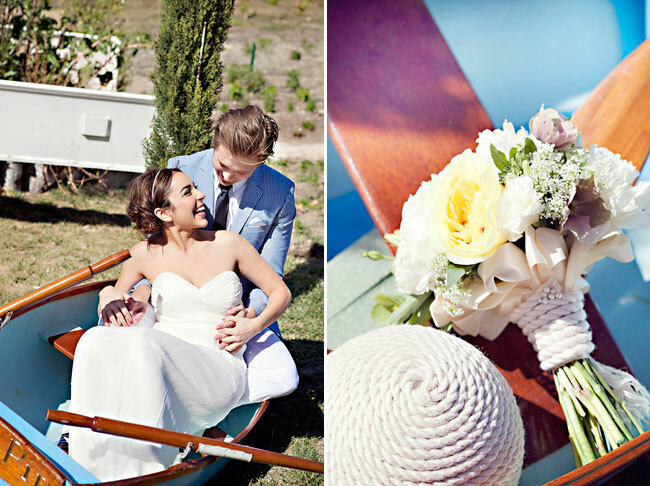 With summer just around the corner (at least we are crossing our fingers that it is) we thought we would share with you a nautical theme styled shoot photographed by the ever so fabulous Lavender and Twine Photography. With a tendency to get sea sick, neither of us are big on boats, but that all changed when we laid eyes on this beautiful creation put together for a workshop by Chenin Boutwell and Wedding Chicks. 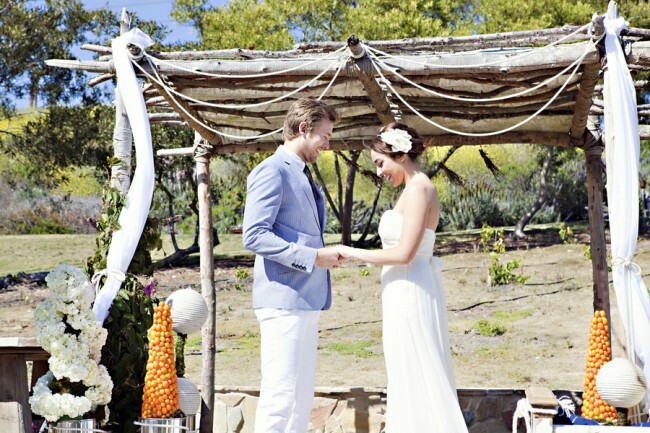 We are loving all the ceremony details! We are dying over the added accessories–so chic! 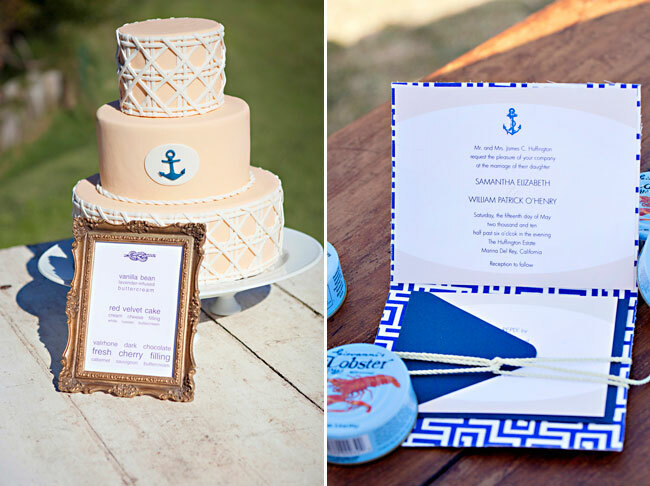 You can’t have a nautical themed wedding without crab—mmmm! Looks like they are sailing off to their future as husband and wife. 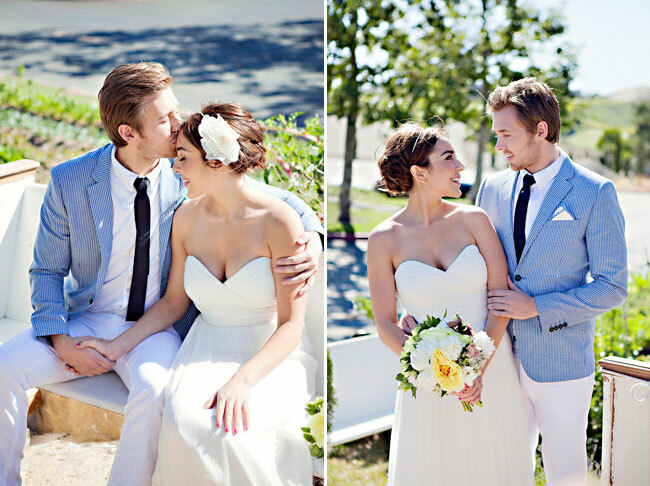 Thanks Lavender and Twine for sharing this with us! Check out Lavender and Twine’s new blog here. Totally missed that last shot in the boat (must have been sidetracked by the drink dispenser thingy…) but how cute are they? Love that… and love how her look changed… guuuorgeous! Did I mention the drink thingy? NEED one of those!!! 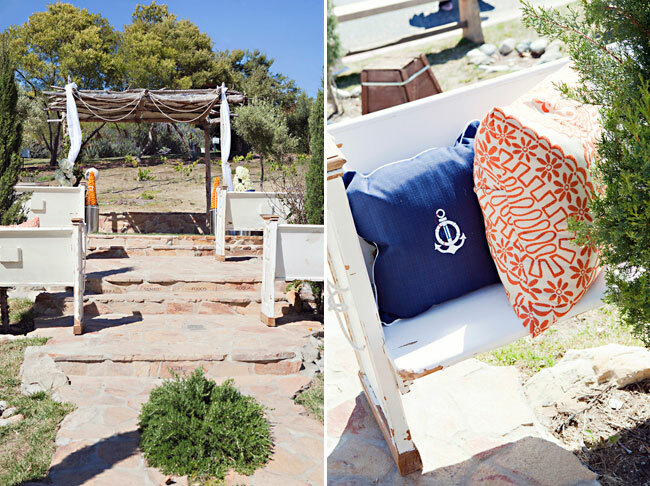 Fantastically styled and lots of great nautical ideas! 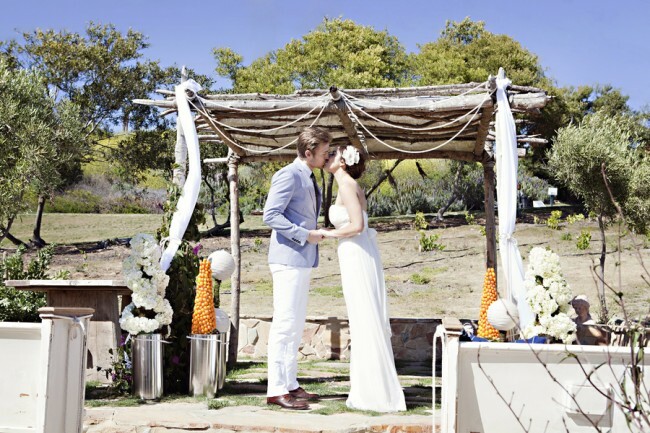 the rope wrapped bouquet is a fab idea!! 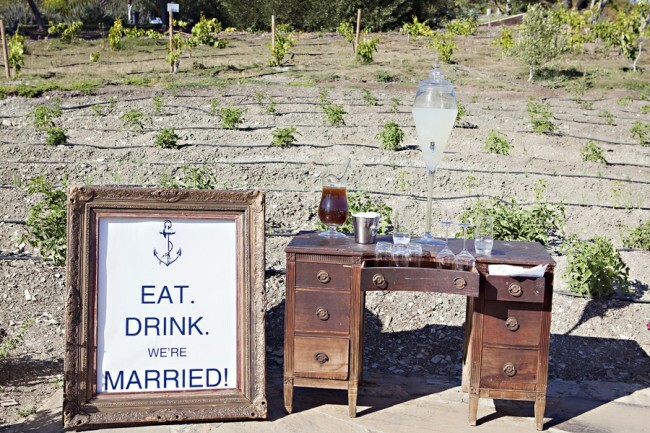 Love the nautical rope wrap on the bouquet and that sign “Eat, Drink, we’re Married” is fabulous!! 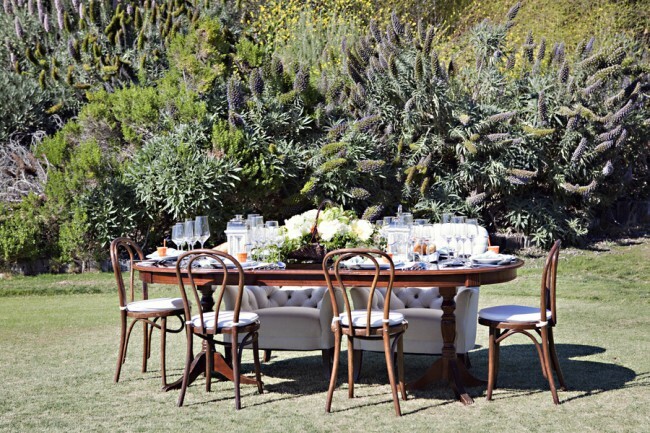 Love these details-perfect for a summer wedding in Maine! I wish summer was here already!! 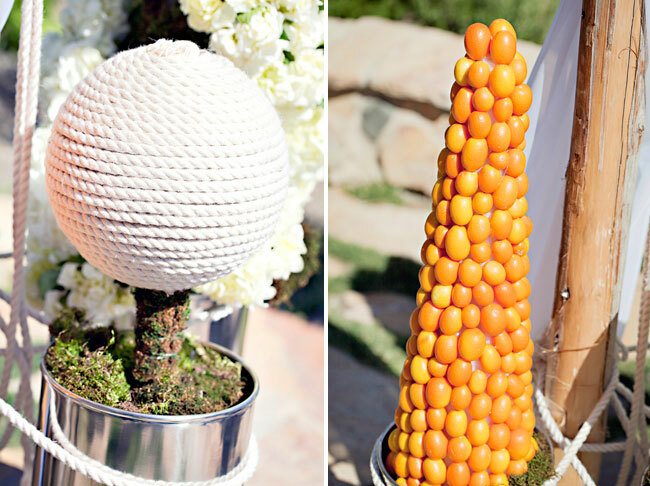 Love the rope wrapped bouquet, such a cute idea! Wait a minute… what are those orangey thingees on the topiaries at the ceremony site? They almost look like unripened roma tomatoes until you see the backed up shot and see how small they are! LOL What are they?